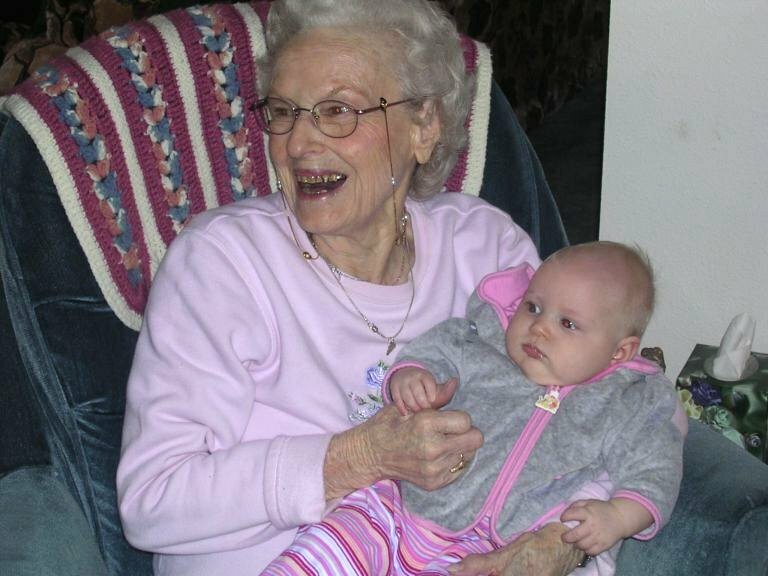 Rose Mary Nelsen was born June 20, 1922 in Seattle, Washington to Beulah and Gustav Nelsen. She was the youngest of 7 children: Genevieve; an older infant sister; Gwen; Bess; Bill and Rhodes. She lost three of her siblings all at very young ages and was most affected by Rhodes’ death when she was only three. Her family moved between Seattle and Los Angeles as her father, a baker, took many jobs. Times were very difficult and her older brother Bill had to work to help support the family. In high school, she worked at See’s Candy and enjoyed the benefits of this job – being able to eat as much chocolate as she wanted. Her sweet tooth lasted her whole life. Rosemary met Joe Lazzaretto in high school and was married at 19. Her first child, Rosemary Dee, was born a year later in 1943, followed by Peter Michael in 1945 and Deborah Anne two years later. 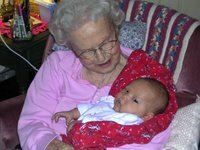 Her greatest desire in life was to be a mother and this love has grown into 9 children and 21 great-grandchildren. Rosemary and Joe raised their three children in Los Angeles, California and moved to Oregon in the mid 1980’s to be closer to Dee and and Pete’s families. 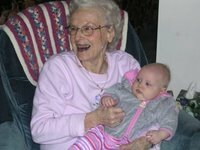 One of her favorite pastimes was crocheting and over the course of her life, she crocheted doilies, blankets, booties, hats and jackets. She crocheted afghans for each of her grandchildren as they got married and even put one aside for the last grandchild, Joe, who is not yet married. She started crocheting baby booties for Pregnancy Resource Centers in the 90’s and donated 5,000 pairs of baby booties. Rosemary also enjoyed cooking and baking and every year she and Joe would make Little Grandma’s Chocolate Christmas Suckers. Batches totaled in the hundreds each year and were sent to family and friends from all over. She started making these suckers with her mother when she was a little girl and carried the tradition over to her children, grandchildren, nieces and nephews. It is estimated that over her lifetime, she made thousands of suckers. Rosemary and Joe visited southern California for annual family reunions and the births of great-grandchildren after their move to Oregon. After Joe died, Rosemary enjoyed trips to the beach with Dee and special lunches after doctor appointments. Rosemary enjoyed listening to radio broadcasts of Dr. James Dobson and Dr. J. Vernon McGee. She listened to Dr. McGee’s “Through the Bible Radio” five- year program at least 10 times and acquired all of his study books on each of the Books of the Bible. Her love for hymns was evident when she would sing along with the radio. 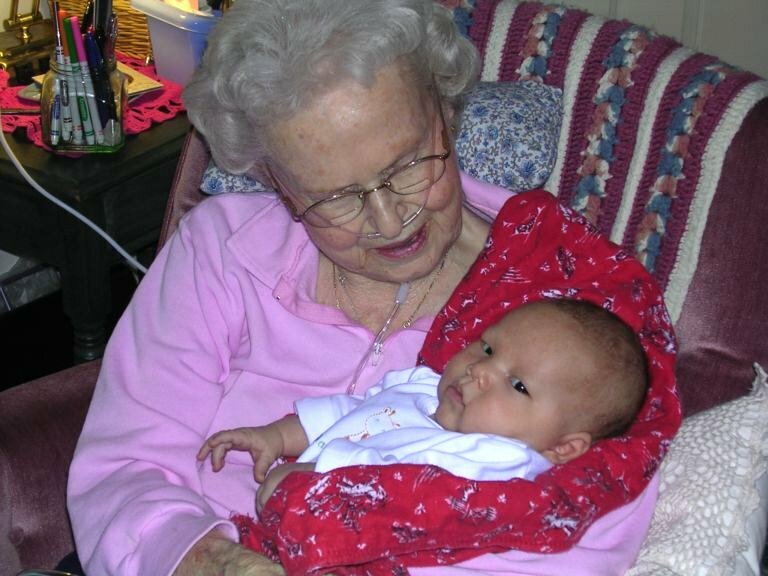 Rosemary’s love for the Lord and trust in Him was evident throughout her life. Although she endured both sorrow and joy, her faith never wavered and she was always thankful and felt blessed with what He allowed in her life. Rosemary Lazzaretto is survived by her brother, 3 children, 9 grandchildren, 21 great grandchildren and numerous nieces and nephews.